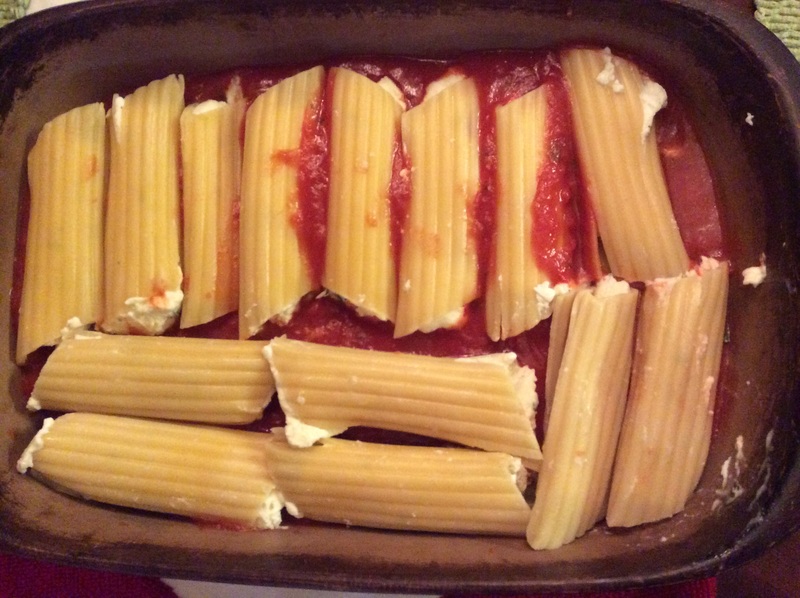 Cheese Manicotti | Let's Eat! This recipe can be made with fresh pasta sheets or store-bought manicotti shells. If using fresh pasta, make 4 x 6 inch sheets using the fresh pasta dough recipe on this website and cook them in boiling water for 3-5 minutes. If using store-bought Manicotti, simply follow the directions on the box. In a mixing bowl, combine Ricotta cheese, 1/4 cup Parmesan cheese, 1/4 cup mozzarella cheese, egg, pepper, garlic powder, onion and chopped parsley. Cover the bottom of a 9 x 13 inch baking dish with tomato sauce (approx 1 cup). Fill each shell with the cheese mixture and lay them in the baking dish side by side. If using fresh pasta spoon about 3 tbls cheese mixture about 1 inch from the edge and roll the sheet into a tube. 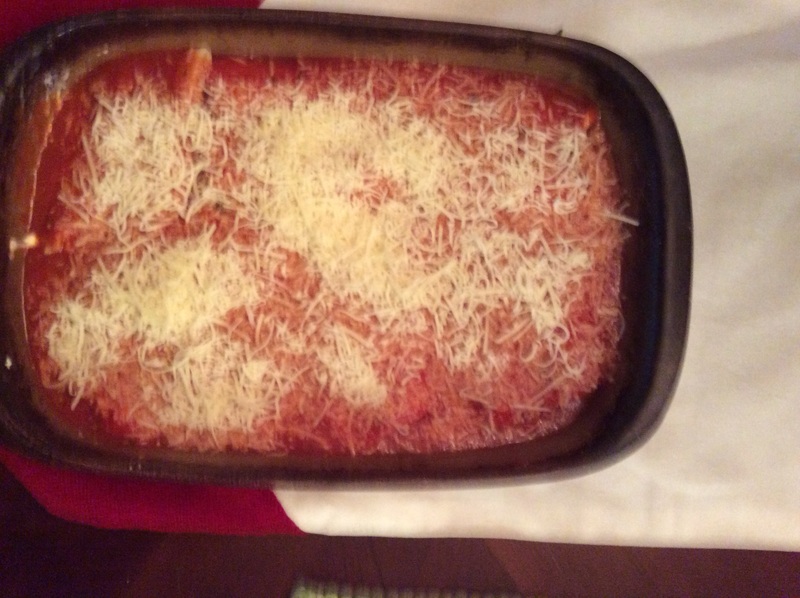 Cover the Manicotti with the remaining tomato sauce, then cover with remaining parmesan and mozzarella cheese. Bake uncovered for 30 minutes or until the cheese begins to turn golden brown.these make a meal themselves but I love them with a side of meatballs! 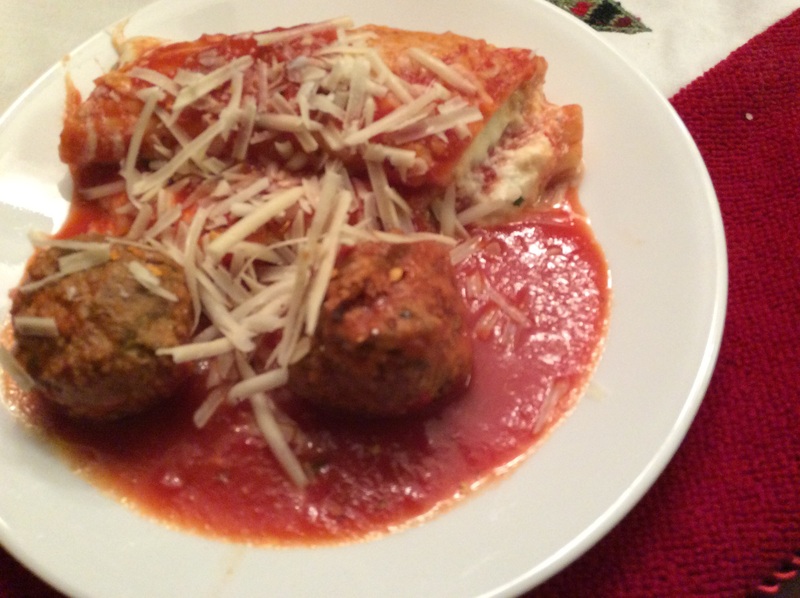 This entry was posted in Recipes and tagged Cheese manicotti, fresh pasta, Manicotti. Bookmark the permalink.